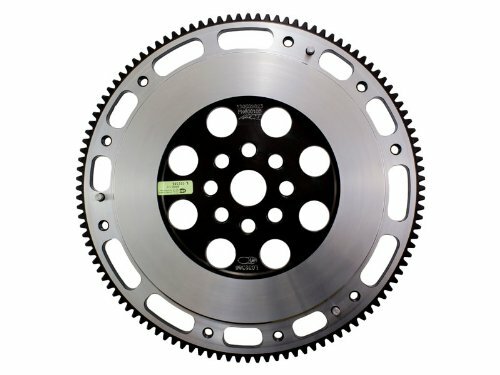 This flywheel is forged from a chrome-molly billet. Heating the billet and impacting it with a large 5000-ton mechanical forge yields an ultra fine grain structure in the metal, making it the absolute strongest flywheel available. Machined slots are used to carefully remove some of the material to make the Prolite Xact the lightest flywheel that ACT offers. The resulting low inertia reduces the drivability compared to a heavier stock flywheel, but what you get in return is a quicker throttle response and acceleration that is preferred for road racing.